Event cinema is used to trade accusation between New York’s Metropolitan opera and London’s Royal Opera House, with the former arguing that it is simply cannibalizing existing audiences, while ROH takes a more constructive view. It is a somewhat unedifying spat, rooted in the Met’s financial problems tied to its complex negotiations with its unions. But the severity of the crisis at the Met, which kick-started the event cinema craze for opera, should not be underestimated. Germany – The German Federal Film Board has announced that it special division will be providing over five million euro to help smaller cinemas in Germany switch to digital. 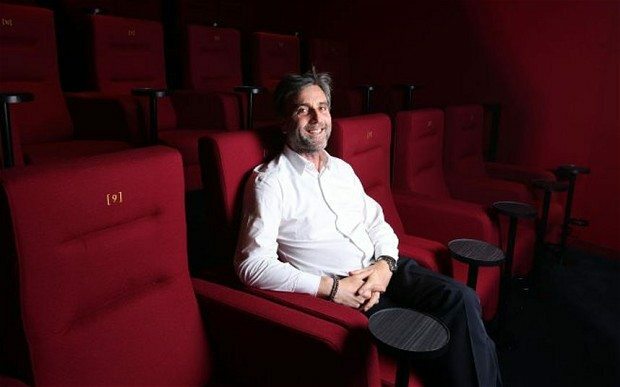 UK – The Telegraph uses the opening of the Curzon cinema in London’s Victoria to profile the company and its charismatic CEO Philip Knatchbull. The group has raised significant capital to not just expand its cinemas, but to push film distribution using its Curzon Home Cinema platform. CITY AM is reporting that BT is in negotiations to invest GBP 30 million into the venture. UK – Curzon is not the only UK cinema investing in film. 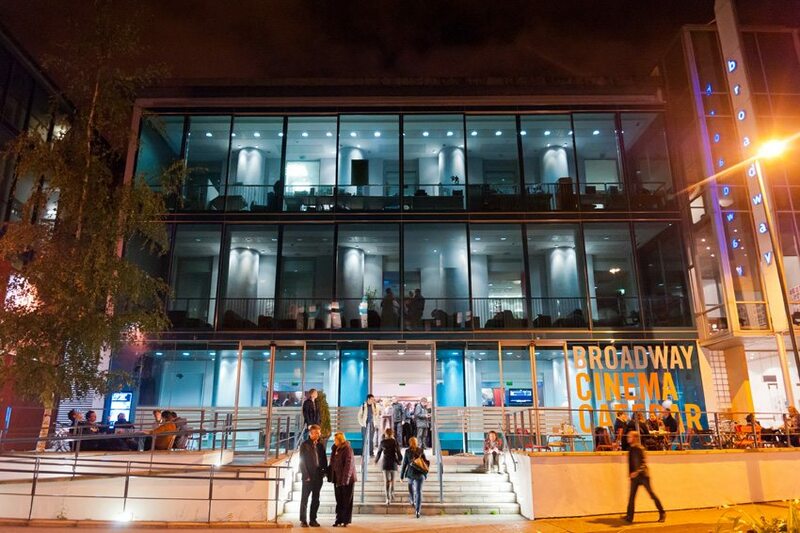 While smaller than Curzon’s play, Nottingham’s Broadway Cinema is launching a £100,000 film investment fund. 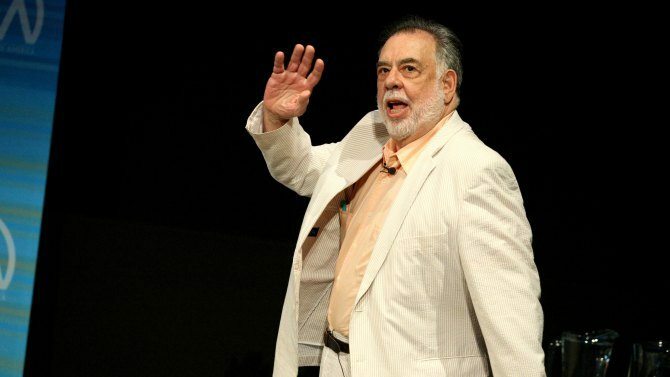 USA – Francis Ford Coppola, who in the early 1980s set up a company called SLEK (So-Long, Eastman Kodak) is predicting the dawn of ‘live’ cinema. India – Cinemas charge more for bottled water than shops? I am shocked — shocked— to find that over-charging is going on here! 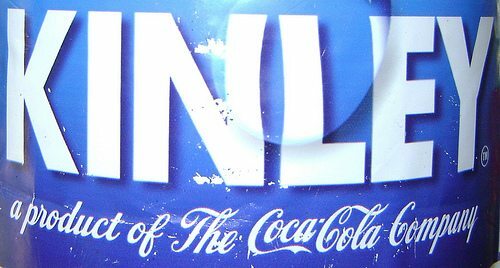 The District Consumer Dispute Redressal Forum (DCDRF) here has directed the Hindustan Coca-Cola Beverages Pvt Ltd and the Inox Leisure Limited to file replies on a petition seeking action against the cinema hall for charging double the money for a mineral water bottle. N Murugesan from Madurai, in his petition stated that on March 9, 2014 he along with his family members went to Inox theatre in Vishaal De Mall to watch a Tamil movie. India – A look at how cinema advertising is growing in India. Over the past three years, ad revenues have doubled for almost every major theatre chain in India, hitting a total of roughly Rs 250 crore [USD $42 million] in 2010-11. This is over a fifth of what advertisers spent on radio and a third of their online ad spends in the same period. 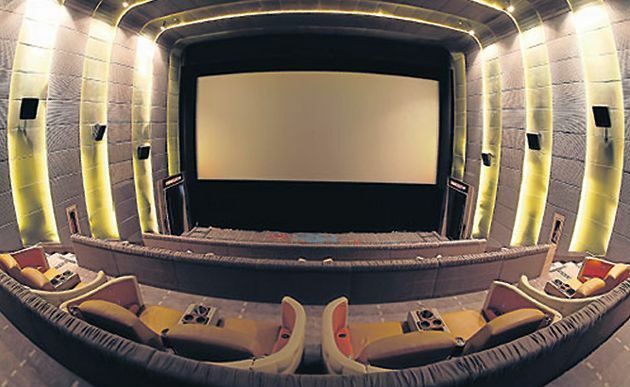 At a 35-40 per cent rise year-on-year, cinema advertising is growing faster than online, radio or overall advertising growth, where the annual growth is about 11 per cent. Thailand – The recent army coup in Thailand has not diminished people’s appetite for cinema, even though the 10pm curfew meant that multiplexes had to cancel their last shows. So it is understandable that there is a lot of interest in the opening of a new luxury screen, where tickets cost 900 Baht (USD $27.75). China – An article about the upcoming Shanghai International Film Festival gives an insight into the complexity of the work for film technicians, now that almost all films arrive on DCP, often having mastered at the last minute and in a hurry. The Danish film “Kvinden i buret” (“The Woman in the Cage”) was faulty and a new hard drive had to be dispatched. It is reported that more than 300 films screening at this year’s festivals, only 12 are in 35mm film format. 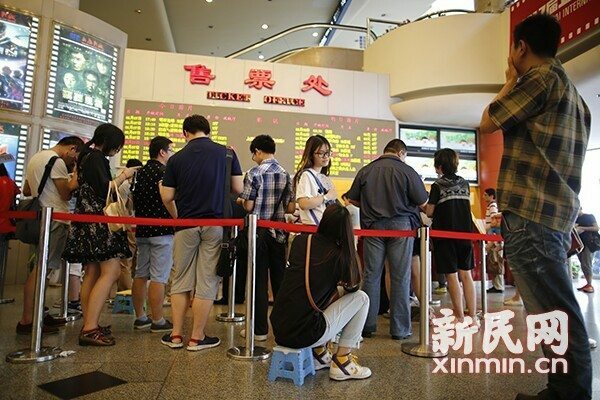 Currently digital movie format is not uniform around the world, which means that testing each copy for the transport, upload, and other aspects of the decryption key until the show has brought great difficulties. To this end, the Shanghai film technology factory workers last week began 24 hours work in shifts to ensure that the completion of the secret key, copy, showing technical inspection in the shortest possible time. UK – This cinema in Wales has managed to escape closure thanks to public grants. 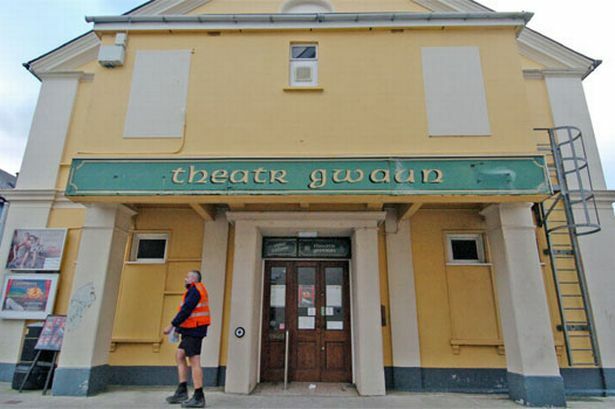 Film fans in Fishguard will soon be able to see the latest releases as Theatr Gwaun is set to install digital projection equipment. The new equipment will enable the community venue to show the latest releases, an increased range of specialist films, and tap into other innovations such as live screenings of major events. 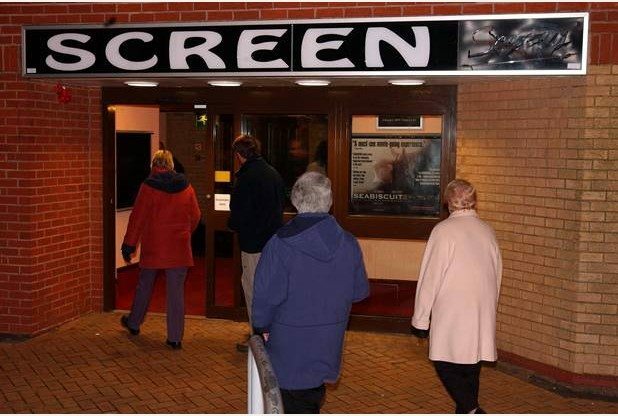 UK – Plans are underway to re-open the 230-seat cinema in the town that is the bane of Internet filters. The Screen, in Church Square, shut in 2004 and then opened as the Base Youth Centre. The centre will also get a digital editing suite as part of plans put forward by Gravity Red, which runs youth services alongside North Lincolnshire Council. Guardian’s on-going Cine-Files series comes to Wellington’s The Embassy Theatre. 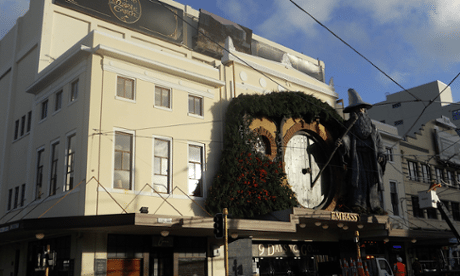 At the Eastern end of Courtenay Place, the heart of Wellington’s entertainment hub. Surrounded by eateries, bars, theatres and rival auditoria – think Leicester Square, but less brash and without the crowds. The area has a typically laid-back, Kiwi vibe (unless Peter Jackson is premiering one of his films, in which case all hell breaks loose). A real mixing pot, you’re just as likely to see the well-heeled supping an aperitif before the opera as you are the trolleybus drivers enjoying a pint after work.